A huge THANK YOU to Dominic and the Swingin' Tikis for a wonderful event! A great time was had by all the attendees, Surfing Heritage received a check for $7,000! 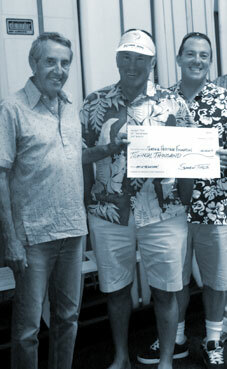 All together, Swing' Tikis has donated a total of $17,000 over the last five years–Thank you Dominic and Swingin' Tikis! Count me in! Let's surf and roll!